Command attention from afar with this Tapered Circle Hanging Sign, complete with a convenient canvas carrying case. 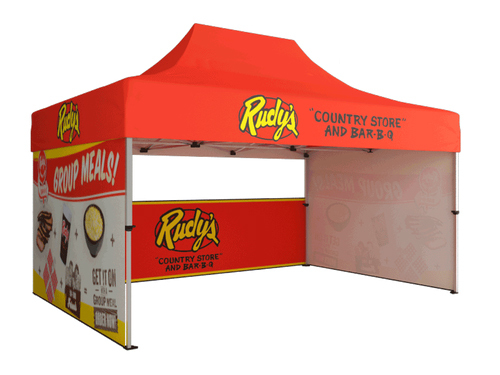 This fabric dye sublimation hanging sign is available in 10', 14' and 15' models. For an added effect, you have the option to add a print to the inside of the display.